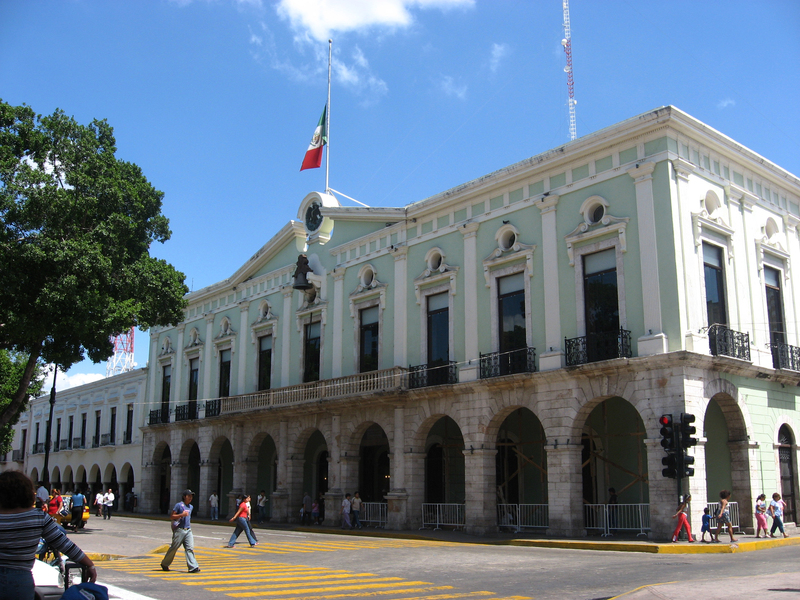 You will never regret living in the state of Yucatán, particularly in its capital, Merida. Life in Merida is not only affordable because of its low housing and utility prices but also due to its modest cost of living. Not to mention it’s considered by national and international organizations as one of the 5 safest cities in Mexico. Let’s look at the area where most of your expenses go regardless of where you live, food and consumer products. If you like dining out, do not worry. Dining at a mid-range restaurant could cost you between 80 to 120 MXN (pesos). Also consider that in Mexico it is almost mandatory to leave a tip between 10% to 15%. Since it is a modern colonial city you have the best of both worlds; you can just as easily visit a local market place with local groceries or an airconditioned supermarket. You can choose whether to buy a liter of freshly squeezed orange juice, refreshing sweet coconut water or an ice-cold beer for approximately 25 – 35 MXN. This brings to mind your expenses with sports and leisure since the climate here is very humid and during the summer we can have temperatures up to 40 degrees Celsius. Practicing sports under the sun in these conditions takes a toll on the body, so signing up at a gym is an excellent option. This could run you a monthly bill between 350 to 600 MXN; otherwise, it is suggested to exercise or practice the sport of your choice early in the morning or in the early evening. Another big chunk of your expenses usually goes to housing, utilities and home maintenance or renovations. Fortunately, housing costs, according to INEGI (the national organization of census and geography), Mexico City is one of the most expensive cities to live in the country, given that on average the square meter of construction is around 16,071 MXN. On the other hand, Merida has an average cost per square meter of 8,733 MXN, that is 7,338 MXN less than Mexico City (54%). Home insurance goes from $3,000 MXN to $5,000 MXN depending on the clauses and scope of the insurance. Furthermore, the annual property tax in Merida is incredibly low; this of course depends greatly on the location, lot size and square meters of construction. For example; if your property has an estimated value between 600,000 – 800,000 MXN, you paid this year 794.50 MXN. With utilities for instance, you can expect to spend on Basic (Electricity, Heating, Cooling, Water, Garbage) for 85m2 Apartment 1,060.71 MXN. As for labor, it is one of the cheapest concepts. The cost to hire masons, plumbers, electricians, pool cleaners, house cleaning, etc. start at $150 MXN, but this really depends on the job or project. If transportation is an important issue for you, you can insure a brand-new car with a value of $350,000 MXN (i.e. Mazda x3) for around $15,000 MXN annually. If you prefer public transportation, you’re lucky since it is very cheap in Merida. For 7 pesos you can get on a bus and get to your destination. You can also call a taxi or an Uber to take you wherever you want. Because the distances are usually very short, moving around Centro (downtown) in an Uber goes from $25 to $45 MXN. Something which is always on everyone’s mind is healthcare. Well, no need to worry. Healthcare insurance is significantly less expensive than US. Private health insurance; however, it obviously varies greatly depending on your age, existing preconditions, and how extensive you want your coverage to be. Thus, it could cost you between $10,000 MXN to $60,000 MXN/year. Last but definitely not least is safety. According to “internationalliving.com”; May 2, 2017 article Merida is in the top 5 safest cities for US and Canadian expats to live a safe, laid-back and inexpensive lifestyle which is only thirty minutes from clean and aqua clear beaches and only a few hours’ drive from well-known Can Cun and Playa del Carmen’s Caribbean beaches. As we can see, the cost of living in Mexico is cheaper by 44.7% to 66.2% than living in the United States or Canada according to the February 2018 index at numbeo.com (world’s largest database). Become part of our more than 2,000-member community of expats. Without a doubt, living in Merida is the only decision you will never regret!